Red Dead Redemption: Messin' With Sasquatch? Posted today on Rockstar's official blog, under the headline "WTF?" 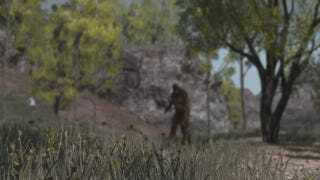 Will we be seeing Bigfoot in Undead Nightmare? Thanks to tipster Walter P.